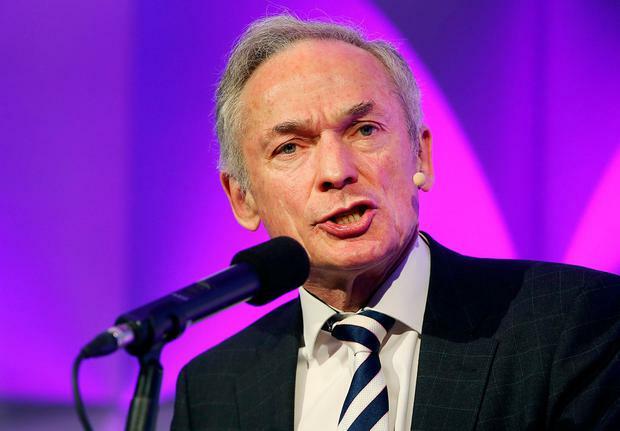 Education Minister Richard Bruton will deliver on promise. Education Minister Richard Bruton will deliver on a Budget commitment to restore ring-fenced guidance counselling posts to schools from September. A political crisis was averted last week when Fianna Fáil leader Michéal Martin and Taoiseach Enda Kenny intervened in the matter. Two days of frantic behind-the-scenes activity ended with Mr Martin securing a written guarantee from the Department of Education about the special status of guidance counselling. In an extraordinary turn of events, it was the Fianna Fáil leader who formally delivered the reassurances to more than 400 members of the Institute of Guidance Counsellors (IGC), when he addressed its annual conference in Cork over the weekend. Two days previously, when asked in the Dáil, Mr Bruton had not been able to allay concerns being expressed by guidance counsellors and Opposition politicians. The controversy was sparked by last week's Department of Education circular to schools on the allocation of teachers for the 2017-18 year. There was shock and fury at what was described as its "woolly" wording, which made no specific reference to the Budget promise to restore ring-fenced - officially known as ex-quota - guidance provision in second-level schools. Mr Martin, who made a return to ring-fenced guidance counselling a key Fianna Fáil condition for supporting the minority Government, told the Taoiseach that it was "unacceptable". Fianna Fáil education spokesperson Thomas Byrne raised the matter with Mr Bruton in the Dáil on Thursday, but the minister's response did not yield the required assurances. The IGC wrote to the Department of Education expressing dismay, and stating that it had accepted the Budget announcement in good faith. Prior to cuts imposed in 2012, guidance counsellor provision was on an ex-quota basis, which meant a separate allocation, over and above the normal teacher complement. It put an obligation on principals to deliver a minimum number of hours for guidance activities. The loss of the ex-quota status - and 600 dedicated guidance counselling posts - led to an overall 25pc drop in time for guidance and counselling since 2012 as principals diverted counsellors to classroom teaching. Some 400 of those 600 posts will be restored by September, and, crucially, in Budget 2017 Mr Bruton also committed to a returning them on ex-quota basis, also from September. But a lack of clarity in the department circular last week raised hackles. Prior to 2012, such circulars were very specific about the ex-quota status of guidance counselling hours. The detailed clarification issued to Mr Martin on Friday evening stressed that the 400 posts to be restored in September would be allocated "separately and transparently and outside of the quota on the schedule of posts". It answers a question on whether a principal has the freedom to use some of the hours allocated to guidance for other areas with a clear "no". The clarification also states that while schools have to make decisions as to how they allocate their resources, they are "constrained by the requirement to deliver at least the required number of hours for guidance".